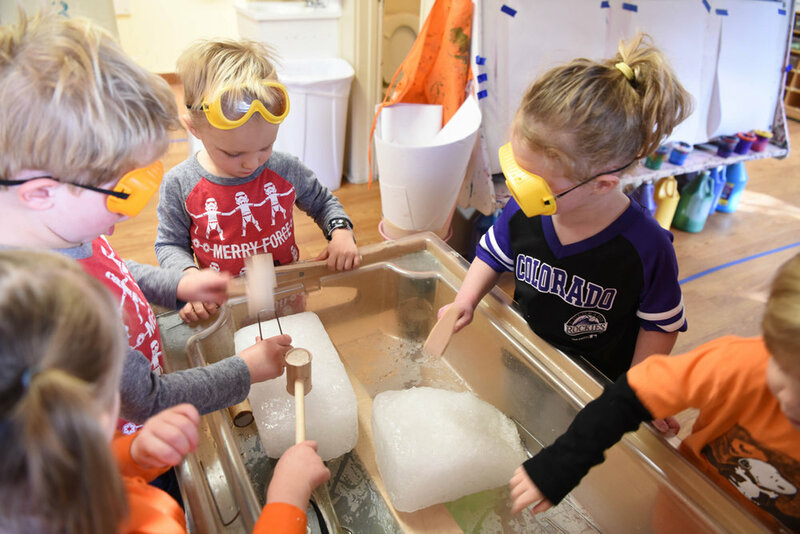 The environment is created to provoke exploration and investigation with diverse materials, equipment and toys requiring a use of all of the senses. 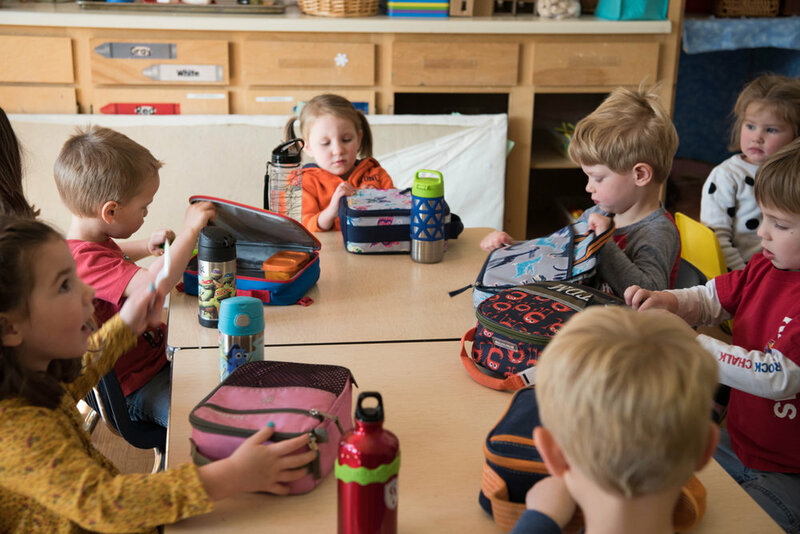 More complex language is encouraged, as mature language skills allow for interactive and creative play, problem solving and critical thinking. Social emotional skill development is addressed often by teachers who label emotions and support children as they work through conflicts. Individual and group activities promote increased attention span and development of sustained focus. Invitations to investigate are challenging and captivating, and children learn as they work and move in the environment. For registration information for 3’s please click here. For class offerings and tuition please click here. 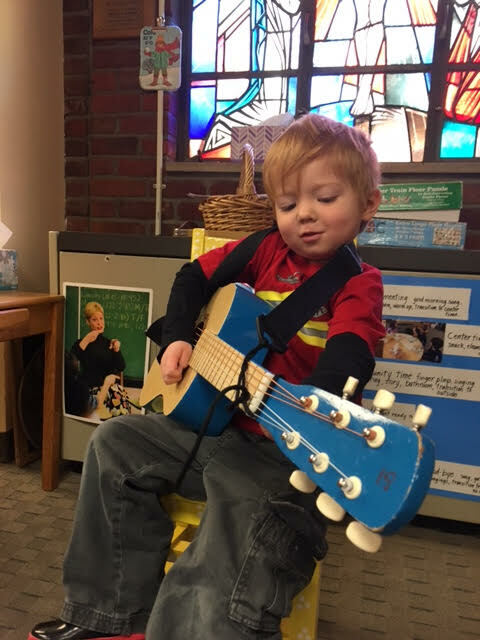 If you are a parent of an enrolled 3’s Preschooler you may access the Parent Portal here. SOCIAL EMOTIONAL: Three-year-olds can identify, recognize and regulate emotions more effectively, and are better able to manage impulses with minimal adult support. They are beginning to express empathy for, and sympathy toward others. At three, children exhibit age-appropriate independence and confidence related to accomplishing tasks and jobs. They are able to work at conflict resolution with some success. Attention span focus are increasing. PLAY: Three year olds begin to play cooperatively, playing with others in the same game or activity. They often exhibit the give and take of play, including sharing of objects as well as ideas. Sustained building, imaginary play or outdoor games are part of a three-year-old’s development. MOTOR: Three-year-olds exhibit increased eye-hand coordination such as throwing, catching, kicking, bouncing balls or riding a tricycle. Physical activities are more complex and often include increased balance and awareness of body in space. Fine motor skills are more refined. Children begin to cut, pour, manipulate clay and play dough, and build with smaller materials and objects. LANGUAGE AND LITERACY: Three year-olds use more complex sentence structure and their expressive language includes varied vocabulary and rhyming. They use sentences and tell stories that have a beginning, middle and end. They converse with adults and peers. Curiosity and the need to investigate and explore drive three-year-olds to ask questions. Children this age love books and stories. They ask questions about the story, make predictions, retell stories or parts of them and exhibit an awareness of sounds. Pre-reading skills emerge, and rudimentary writing begins to represent thoughts and ideas. COGNITIVE: Three-year-olds problem solve with increased logical thinking. They understand cause and effect; they often creatively represent their thoughts through drawing, movement, building and pretend play. Children this age begin to grasp mathematic concepts, spatial relationships, comparison, classification and patterns. Sustained attention span and persistence emerge.